Madres Kitchen is dedicated to fresh food, sustainability, and sourcing local. 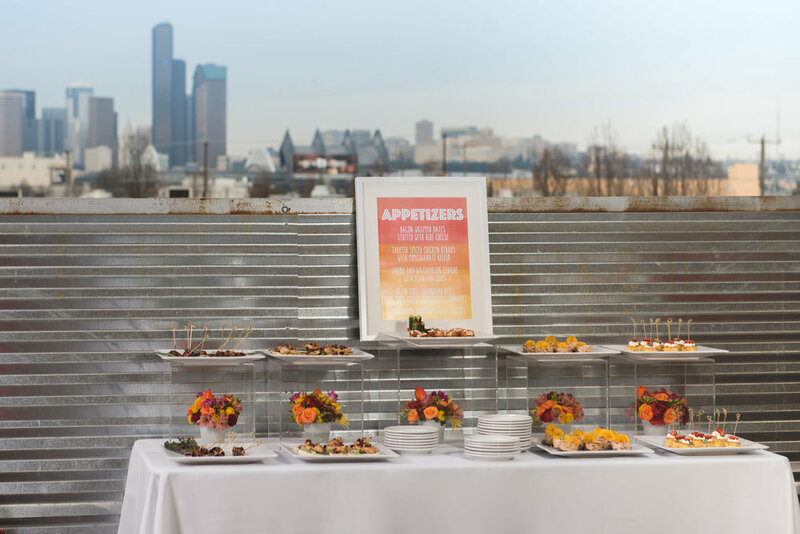 Madres Kitchen is a woman owned and operated full service catering and events company based in Seattle, WA. Founders Heather Chitty, Kristen Cole, and Marci West started the business over a decade ago in hopes to break out of the nine-to-five grind and pursue a career they were truly passionate about. Fresh food, sustainable practices, sourcing local, and dedication to the community are some of the core values that Madres Kitchen was built on and continues to believe in today. We work closely with 21 Acres and the Puget Sound Food Hub to source seasonal and organic produce from local farms, E.C. Wilson to find top quality meat, and other food purveyors such as Ayako and Family JAM, That Brown Girl Cooks Hummus, Macrina Bakery, Beecher's Cheese, to name a few. We pride ourselves on providing high quality food, while giving back to the local economy. Aside from our high standard on delivering the best, we are also very mindful about the impact our company makes on the environment and on the world around us. We are strategic about minimizing food waste, use compostable products, and we are a certified Green Business by the City of Seattle. As Madres Kitchen grows we make it a priority of ours to give back to our community. We donate towards non-profit organizations, sponsor community events, and host pop up dinners where we raise money towards a good cause. We try our best to be as intentional as possible, serving fresh delicious food, providing heartfelt service, all while making a positive impact. Today Madres Kitchen is at their third commercial kitchen located in Lower Queen Anne, employs 10 full time employees, and 50+ event staff. We are an equal opportunity employer, and offer competitive wages and benefits. Grilled Chimichurri chicken, pepper beef, and citrus prawns. Side of dipping sauces- sweet chile, peanut sauce, etc. Baked fresh, in house! - with Ayako's apricot jam. Mini polenta cakes. Spicy Cajun shrimp. Paprika creme. Smashed and fried plantains topped with cilantro creme, carnitas pork, and pickled red onion. Marinated in lime juices with jalapeños, cilantro, and red onions. Served in bamboo cups with plantain chips. Gorgeous, local, organic vegetables (cucumbers, carrots, radishes) served with a trio of dips and side of gourmet crackers. Seared wild caught salmon marinated in tequila, lime zest, lime juice, mild chiles and olive oil. Finished with cilantro-lime honey butter. Grilled flank steak with parsley, cilantro, garlic, olive oil sauce. Tangy, not too sweet, made with Ayako's organic, local plums and grated ginger. Served on a bed of spinach. Farm fresh, locally sourced veggies, tomatoes and cannellini beans atop our house made polenta cakes. 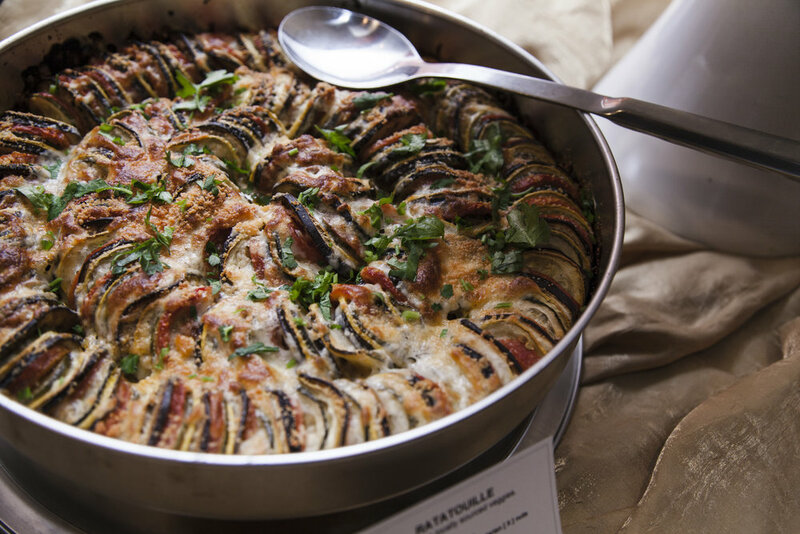 A sprinkle of freshly grated Parmesan cheese and fresh basil seal the deal. Jasmine Rice with sauteed bell peppers, onions, cilantro, lime. Local, seasonal roasted vegetables sourced from 21 Acres Farm. Fresh basil and sea salt. Rosemary, kalamata and sourdough with a side of whipped butter. Diver Scallops wrapped in cherry wood smoked bacon, brushed with Chile Butter. Chevre with roasted local beets in mini tarts, topped with candied pecans. Gingered shrimp with grated sweet potatoes with a side of Mama Lil's Remoulade, garnished with green onion. Roasted delicata squash and homemade ricotta spread on grilled bread, topped with micro greens. Marinated brie cheese, prosciutto, olive tapenade, roasted red pepper spread and eggplant bruschetta. Accompanied with house made grill bread. Oven roasted black cod topped with a fresh pomegranate salsa. French classic of braised chicken with wine, mushrooms, pearl onions, garlic, herbs, and lardon. Gorgeous and flavorful. Served bone in. Pork belly with crispy skin on the outside, rolled with herbs and garlic. Served apple cilantro gremolata. Local and seasonal squash (delicata, acorn, butternut) oven roasted with browned butter and tarragon. Side of apple slaw. Creamy potatoes with Gruyere cheese, scalloped and layered, topped with chives. Oven roasted local and organic beets, parsnips, potatoes, carrots, yams with garlic oil and sea salt. Grilled pears, Oregon hazelnuts, mixed greens, with a honey balsamic vinaigrette dressing. Rosemary, kalamata and sourdough with side of whipped butter. Beef short ribs braised in sake, soy sauce, sesame oil. Rich, bold and flavorful. Served with a side of cauliflower puree and roasted carrots. Tender grilled chicken thighs cooked in Seattle dry cider-mustard sauce with sauteed garlic, onions and fresh parsley. Served over a bed of creamy mashed potatoes, and a side of organic, local braised greens. Seasoned portobello mushrooms with caramelized onion "gravy", side of chick peas, served over a bed of garlic braised greens. Charbroiled grilled chicken marinated with fresh lime and orange juice. Seasoned with garlic and cumin. Chile roasted sweet potatoes and black beans in corn tortillas with house made cilantro-lime ricotta and red pepper enchilada sauce. Rice with diced red peppers, onions, cumin bay leaves. Seasonal squash, zucchini, carrots, red peppers, mushrooms and onions sautéed with olive oil, garlic, cumin, chili peppers, and spices. Side of grilled pineapple seasoned with Tajin. Chiffonade green and purple cabbage, carrots, in a cilantro-lime honey dressing. Basket of warm corn and flour tortillas. Tender chicken in rich, flavorful sauce with ginger, garam masala, yogurt, garlic, chiles and tomato. Savory Indian chickpea stew with cumin, turmeric, cayenne, tomatoes and onions. Cooked down in vegetable stock, with onions, bay leaves. Variety of roasted seasonal vegetables (sweet potatoes, asparagus, brussels sprouts, red peppers, eggplant). Cucumbers, tomatoes, onions, bell peppers with tangy yogurt dressing. Baskets of warm naan bread. Carnitas pork, chicken tinga, chimichurri flank steak and grilled veggies. Chef run and presented on a traditional comal pan from Mexico City! Self serve condiments of chipotle salsa, salsa verde, pickled jalapenos and onions, pico de gallo, etc. Flank steak, pulled pork, and black bean veggie patties, an array of condiments- ketchup, mustard, chipotle mayo, house made pickles and onions, and more. Served on Macrina Bakery potato slider rolls. Whether it's Vietnamese pho style or Japanese ramen bar! Homemade broth with your choice of proteins and fresh veggies on top. Falafel, keftedes, and chicken souvlaki prepared in front of your guests with self serve tzatziki, spicy pickled carrots, cucumber and tomato salad, skordalia and more. Side of warm pita bread and hummus. Warm Jasmine rice with your choice of Spicy Pepper Beef, Lemongrass Chicken, and Stir Fry Veggies. Self serve toppings include bean sprouts, green onions, Sriracha, Hoisin sauce. Trio of local oysters freshly shucked with mignonette and cocktail sauce, tuna poke with cucumber salad, shrimp cocktail. Presented over crushed ice. S'mores Bar, Popcorn Cart, Ice Cream Sundae Bar, Pittsburgh Cookie Table, Pasta Bar, Sausage and Pretzel Cart, to name a few. Have an idea? Let us help you bring it to life! Whether it's a full bar, a wine tasting, or custom signature cocktail, Madres Kitchen is fully licensed to mix, shake, stir, and serve! We support local breweries and distilleries and take our farm to fork to farm to cocktail with the freshest ingredients available. Locally roasted Cafe Appasianato regular and decaf coffee. Dispensers of hot water and an assortment of teas- Earl Grey, Green Tea, Chai, to name a few. Half and half, Splenda, Raw Sugar, stirrers, compostable hot cups. Want something refreshing for all your guests to enjoy? We offer a wide range of non-alcoholic beverages such as our signature Rosemary Lemonade, and homemade Hibiscus Tea / Jamaica, to a Lavender Iced Tea. We also carry a variety of sparkling waters and sodas - La Croix, Perrier, Izze, Diet Coke, Coke, Sprite, Ginger Ale. 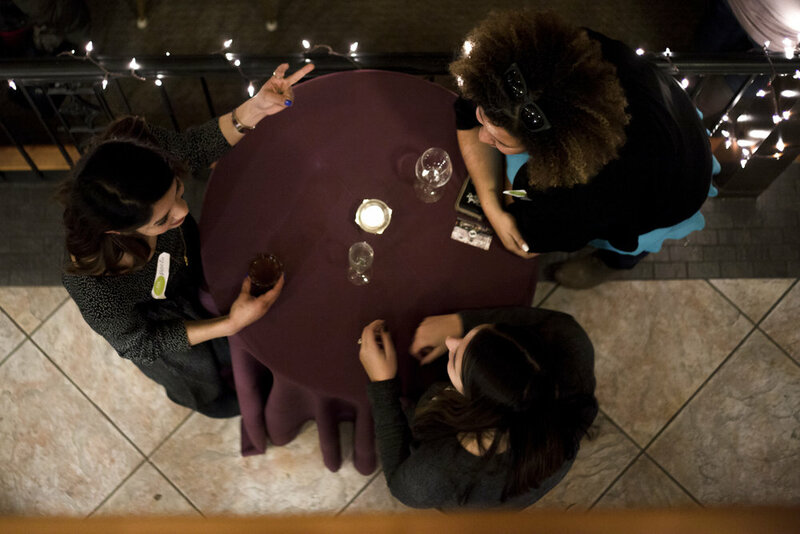 Our professional staff will make your event a smooth success - weddings, backstage, conferences, rehearsal dinners, birthday celebration, lunch meeting or ?! You name it, our team executes without a hitch from set-up to tear-down. 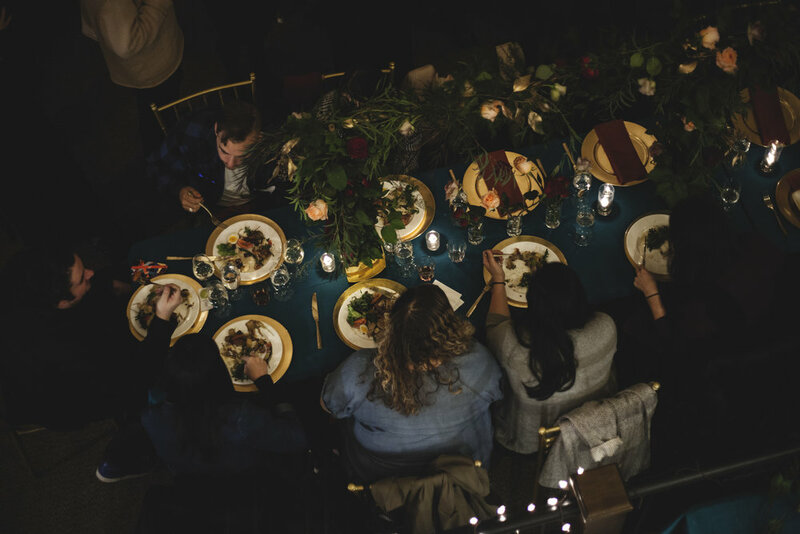 Madres provides well-coordinated, heart-felt services including; customized menus, event staffing, planning and coordination, ordering your rentals, and more. We are able to prepare everything in our commercial kitchen and bring it to your event site, allowing you the flexibility of hosting your day in any facility you choose. We work with you to customize the look and feel you envision for your event! Our bartending / beverage packages range from client provided bar packages, hosted bars, and cash bars. We provide the bar supplies needed, licensed bartenders, liquor liability insurance, and customized bar menus. We consult with our clients on quantities, specialty cocktails, and work with local distilleries, breweries, and wineries. We also offer a wide range of non-alcoholic beverages and hot beverage packages. Need a simple drop and go service for your business meeting or party? Madres has you covered. We include catering hot boxes, platters, serving utensils and set-up - with every order. Compostable plates, utensils, cups, etc. available. Get farm fresh food delivered for your next business lunch! There are many aspects that go into making a memorable wedding and event, and food is one of the most important. The food and service should reflect your style and be presented beautifully and professionally. 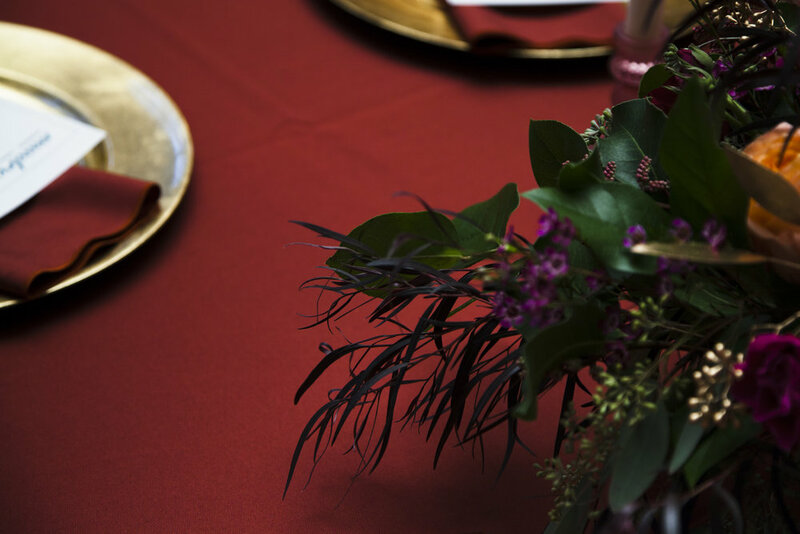 From customizing a special menu that reflects our client's taste and background, to walking through the entire day with you, Madres Kitchen is committed to making your event beautiful, and will have your guests raving. Some of the many details we assist you with; customized menu planning and tasting, staffing and vendor sourcing, event walk through, rental coordination, event setup and site clean-up, event schedule flow, day of coordination, event decor and styling. "I cannot say enough about Madres Kitchen. They catered my daughters wedding and everything was beyond perfect. It was an all day event so they catered lunch and dinner at a resort on Mount Rainier. They were thorough and helpful through-out the planning, even posing questions we didn't realize we had. During the event the staff showed EXTREME flexibility. Eight inches of rain fell on an outdoor wedding and reception with no indoor plan. Still it did not dampen the spirit of the occasion thanks in great part to the team that worked so hard that day. Delicious food, beautiful presentation, kind and helpful staff who went above and beyond, they were AMAZING!" 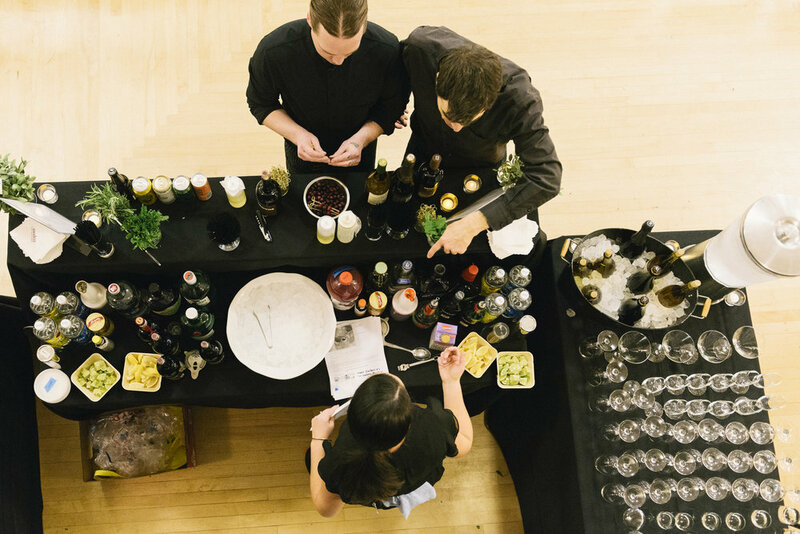 "We took a long time - a few months and 4 tastings – to decide on our caterer. In the end, the decision was easy, and we never had cause to regret it. We worked with Osiris long-distance – we live in Portland and got married in Seattle – and she was patient, pleasant, and thorough, with great communication via both email and phone. If we were to ever get married again, we’d go right back to Madres. We recommend them without reservation." We would love to be part of your event! fill out as much information as possible below and someone from our team will reply back to you with follow up questions or a proposal within 48 hours. Thank you for submitting your event details. We have received your Request for Proposal and one of our amazing Event Coordinators will be in touch with you shortly. If you have any other questions, please feel free to give us a call at 206-227-7478 or email info@madreskitchen.com.